To claim this profile, please confirm you are Nicole Bilbo. To follow this profile, please let us know your relationship to Nicole Bilbo. RESULTLoss Girls varsity basketball vs. Mescalero Apache. The Magdalena varsity basketball team lost Friday's neutral playoff game against Mescalero Apache (Mescalero, NM) by a score of 55-43. This game is part of the "2019 NMAA State Basketball Championships - Class 2A - Girls" tournament. RESULTWin Girls varsity basketball @ Estancia. The Magdalena varsity basketball team won Friday's away non-conference game against Estancia (NM) by a score of 51-37. RESULTWin Girls varsity basketball vs. Alamo Navajo. The Magdalena varsity basketball team won Wednesday's home non-conference game against Alamo Navajo (Magdalena, NM) by a score of 63-31. Nicole's basketball stats have been updated for the loss vs. Estancia. RESULTLoss Girls varsity basketball vs. Estancia. The Magdalena varsity basketball team lost Thursday's home conference game against Estancia (NM) by a score of 34-31. Nicole's basketball stats have been updated for the win vs. Alamo Navajo. The Magdalena varsity basketball team won Tuesday's home conference game against Alamo Navajo (Magdalena, NM) by a score of 61-37. Nicole's basketball stats have been updated for the win @ Native American Community Academy. RESULTWin Girls varsity basketball @ NACA. The Magdalena varsity basketball team won Saturday's away conference game against Native American Community Academy (Albuquerque, NM) by a score of 73-20. 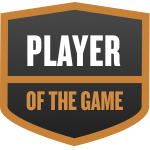 Nicole was selected the Player of the Game in the basketball game against Menaul on Thu, Feb 14 2019. Congratulations to #15 Nicole Bilbo for being selected the Magdalena Girls Basketball Player of the Game. Nicole's basketball stats have been updated for the win vs. Menaul. RESULTWin Girls varsity basketball vs. Menaul. The Magdalena varsity basketball team won Thursday's home conference game against Menaul (Albuquerque, NM) by a score of 75-18. Nicole was selected the Player of the Game in the basketball game against Mission Achievement & Success on Tue, Feb 05 2019. Nicole's basketball stats have been updated for the win @ Mission Achievement & Success. RESULTWin Girls varsity basketball @ MASHS. The Magdalena varsity basketball team won Saturday's away conference game against Mission Achievement & Success (Albuquerque, NM) by a score of 66-16. Nicole's basketball stats have been updated for the loss @ Estancia. RESULTLoss Girls varsity basketball @ Estancia. The Magdalena varsity basketball team lost Thursday's away conference game against Estancia (NM) by a score of 47-26. Nicole's basketball stats have been updated for the win vs. Mission Achievement & Success. RESULTWin Girls varsity basketball vs. MASHS. The Magdalena varsity basketball team won Tuesday's home conference game against Mission Achievement & Success (Albuquerque, NM) by a score of 99-3.